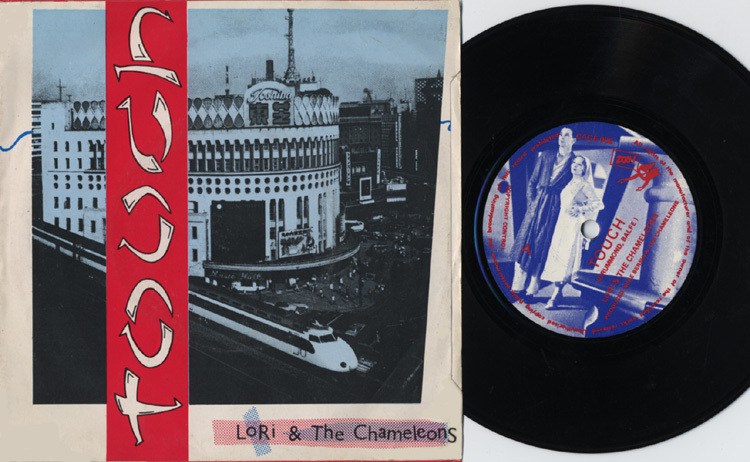 Post Punk Liverpool: Ten Tales of Tea Shop Delirium. For all of its excitements, Punk Rock became even more fascinating when added to the exotic stews of home grown weirdness cooked up in the provinces and served to people who cared little, if at all, about what might have been going on in the capital: poets and potherbs, tosspots and troubadours, shamen and shitehawks, but always, always, impassioned music lovers of every stripe. 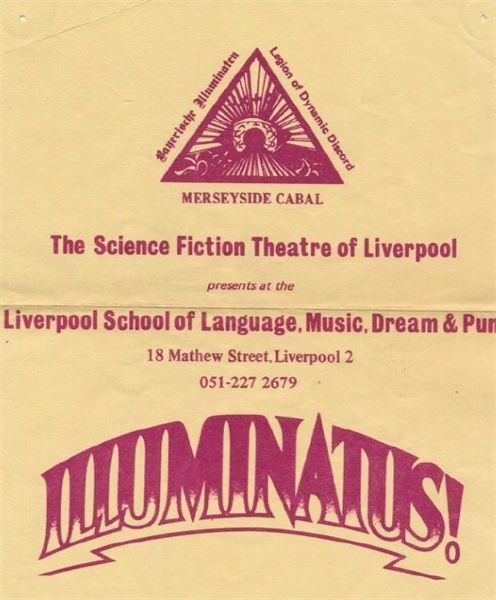 Late 70s Liverpool, then, was a blessed and magical place to be a music-obsessed mid-teenager; it’s one thing to be discovering your own music at that age, but to see its movers and shakers in the middle of town felt like something else altogether. How lucky was the music fan who could buy the NME’s Single of the Week in a shop where it’s creator would be hanging around the end of the counter? Was this ever going to happen to kids from Loughborough? Similar things may have been going on in other cities, but as the man said, neither of their bands were any good! Liverpool’s musical history has been documented more thoroughly elsewhere, of course, but for now, some fondly-remembered snapshots of an age, and half an hour of unique and hopefully diverting music. (Technical note – this piece uses Youtube clips instead of MP3 files. I hope you’ll excuse the minor inconvenience, and agree that it’s far better than bugging the artists). Yachts evolved from Albert Dock and the Codfish Warriors, and it was their bass player, Martin Dempsey, who had abseiled on to the stage in skis during the Jung festival. They specialised in whacking out witty, catchy pop songs, chivvied along by a Farfisa organ, and the delightful “Suffice to Say” could have been given an equally good home by Sparks or the Kursaal Flyers. When they split in 1981, their members moved variously to It’s Immaterial, The Christians and Pink Military, Dempsey eventually becoming a music teacher while pursuing various other projects. He now plays with the raucously energetic Gentle Scars, wonderfully theatrical fun in glorious defiance of the band’s collective age of 427 years. Four fifths of Those Naughty Lumps heave a sigh of relief at not having to wear The Pullover. And on the bass guitar, Martin “Armadillo” Cooper. Martin took over Aunt Twacky’s Tea Shop in the Pun School building, and re-named it The Armadillo Tea Rooms. It remained a creative nexus. Colossal pots of Good Old Rosie Lee would last for hours, fuelling the fervid imaginations of any number of local dreamers, musicians of real or imagined ability who would convene in varying number and construct bands which might never play a gig/write a song/actually meet each other. Of course, it was also a place where more realistic and successful ideas were nurtured, a petri dish for imaginative alchemy, a first step to global renown, in which case food was also available. The self-effacing Those Naughty Lumps formed in 1976, and enjoyed regular gigs around Liverpool and the Wirral, often by invitation. Iggy Pop’s Jacket, recorded in 1978 and one of the first releases on Zoo Records, offered two minutes of good clean fun, and a reassuring indication that the better Liverpool bands maintained a degree of humility and a sense of humour. Their follow-up record was even longer, and a 2012 Lumps reunion remains an ongoing threat. Martin Cooper was a far better chef than he was a bass player, and he has long enjoyed a position of great respect in Liverpool’s culinary arena. Maybe if we all eat enough he’ll be too busy for the band to get back together. Ye Gods, this was inept even by the measure of its day (November 1977). What lyrics it seems to have are screechingly indecipherable and its infantile melody soon becomes almost hallucinatory. After a minute and a half it falls apart and starts all over again, finally ending with a bit of vaguely oriental piano noodling. Needless to say, it’s one of the greatest rock ‘n’ roll records ever made! Singer Jayne Casey ran a clothes stall in the aforementioned Aunt Twacky’s, so when Roger Eagle opened a new club across the street she was well placed to form a group with some of its regulars, which famously included Ian Broudie, Budgie, Holly Johnson and Bill Drummond. 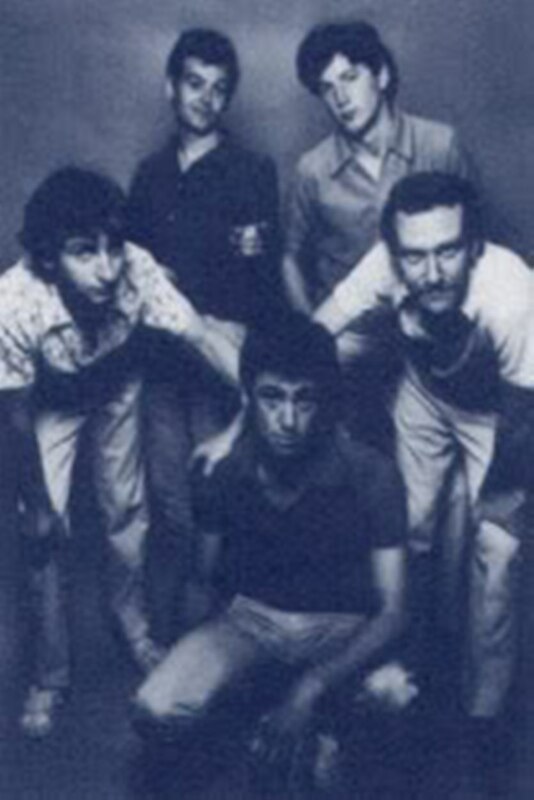 By 1978, having learned how to write words and music, they had no option other than to disband. Jayne took her new-found skills to Pink Military Stand Alone, before becoming an integral part of many of Liverpool’s cultural milestones. From her hefty catalogue of achievements we could choose the global success of Cream and the artistic directorship of Liverpool’s Capital of Culture year in 2008. She is to be applauded for building upon the Eric’s legacy and not merely squandering it. Ethereal it might be, but it’ll do you no good. Perhaps the archetypal Liverpool record of the time, an NME Single of the Week and a John Peel favourite. Alongside Echo and the Bunnymen, the Teardrop Explodes played their earliest gigs in Erics, with just two or three songs, three or four chords and a million ideas. Making a virtue of their limitations, this, their debut single, revolves around Julian Cope’s repeated five-note bass pattern, a single chord played on a tinny organ by Paul Simpson, Mick Finkler’s two-chord guitar loop and some opaque, even nonsensical lyrics. Really, it should have drifted into a bad Syd Barrett out-take, but Gary Dwyer’s drums turn it into a little miracle, keeping the simple mechanics turning over like an antique music box, and making the whole band sound like a bunch of kids making something brilliant out of spare parts. This was another release on Bill Drummond and David Balfe’s Zoo label, and weighing the quality of the record against the frugality of its resources, you have to wonder just how much Drummond learned from designing “Illuminatus!” with bits and pieces. Paul Humphries wonders what Andy McCluskey is trying to tell him. These were the days when marketing could wait until the ideas had been hatched, the music written and the teapot drained. 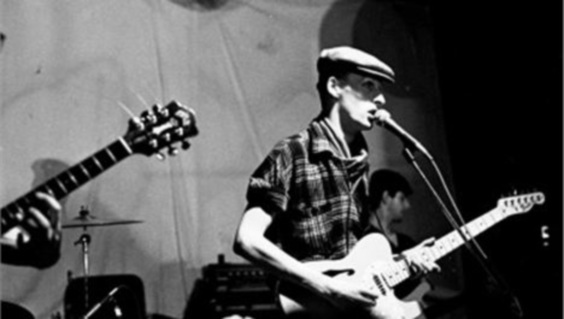 Andy McCluskey and Paul Humphries had met in primary school on the Wirral, and during the mid-70s played in various local groups, including Equinox and Pegasus. Yes, the mid-70s. In 1977, when the lure of their beloved electronic music finally became irresistible, they formed an eight-piece band called the Id, sidelining as a weirdo synthesiser duo called VCL XI (taking their name, of course, from a picture of a valve on the cover of a Kraftwerk LP). 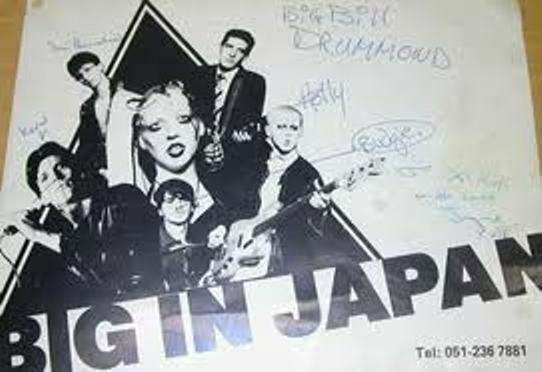 The Id had no shortage of gigs, but split due to musical differences in 1978. 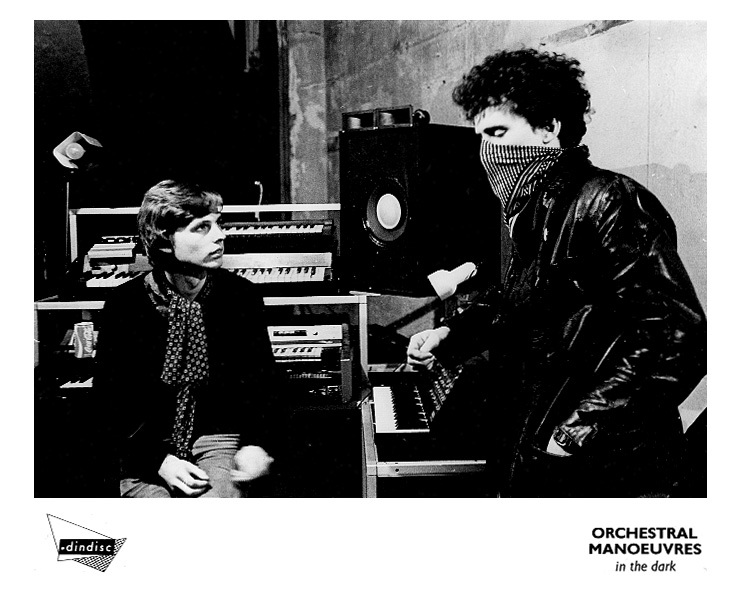 McCluskey briefly assumed vocal duties with Dalek I Love You, but, fearful that their daft name may take them nowhere, he rejoined Humphries to form Orchestral Manoeuvres in the Dark. 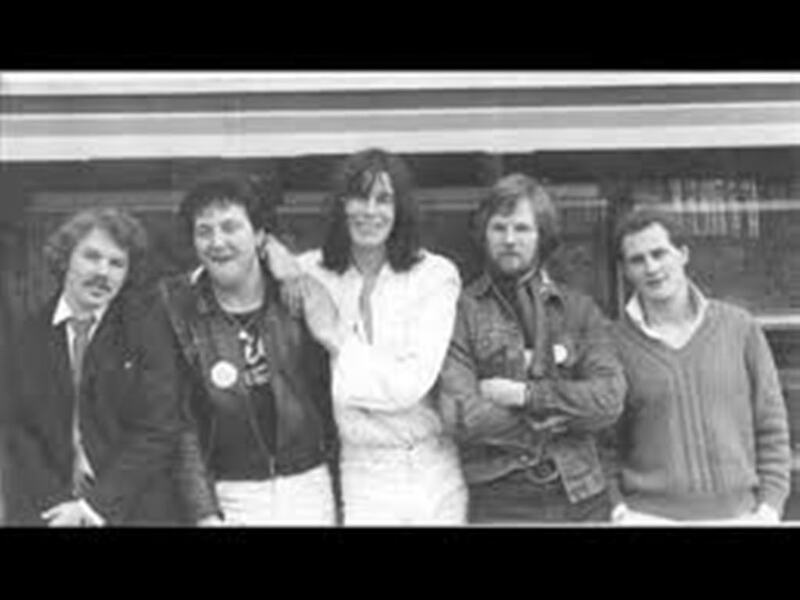 Electricity, their debut single, was released in 1979 on Manchester’s Factory label, and remains one of the few great pop records to concern itself with hydro-electric power. A major label soon recognised the band’s commercial potential, and their 1980 debut LP was fresh and immediate and rightly successful. Their second LP, therefore, had a duty to start with a jaunty hit single about a plane dropping an atom bomb, before offering eight more pieces in declining order of melancholy, culminating in “Stanlow,” a stately paean to an oil refinery in Cheshire. After enormous and lasting success, OMD called it a day in 1996. Andy McCluskey, by then having learned a thing or two about strings of irresistible hit records, took responsibility for the Liverpudlian girl group tradition and launched Atomic Kitten! A piece like this can’t begin to be exhaustive, and may be judged by its omissions. Liverpool, then as ever, had a huge number of bands, not all of them Eric’s regulars; some had cut their teeth at places like the Moonstone or Stairways, or by playing third on the bill to the Edgar Broughton Band at the Stadium, and they are a chapter in themselves. A lot of them went unrecorded, or were unjustly neglected, or wished to avoid the “hip Liverpool band” tag. Still more were just plain terrible. So now’s your chance to have one yourself, as it were, to take five minutes for your very own Youtube trawl. Maybe you didn’t like the Teardrop Explodes, perhaps you preferred the proto-metal of Marseille, or the electrifying, primal rock ‘n’ roll of Lies All Lies, or maybe you had to pretend to enjoy a lousy band because your cousin played the drums. Whatever, now’s your chance to go and wonder what happened to them all while you scour the Internet for Torchy and the Moonbeams, or 29th And Dearborn, or even Supercharge! And down it comes to dumb luck… The Moderates started as something of an ad hoc outfit, (an “arts band”, according to Pete Burns), revolving around the Everyman Bistro and some of its staff. Inspired to some extent by Deaf School’s theatricality, gigs would involve poetry readings, the odd novelty song and the lengthy ramblings of one Dame Looney. Soon enough the line-up settled and the band became a tighter outfit, ditching the peripherals to focus on the songs and swiftly releasing a well-received EP. Then everything that they’d want to happen, did –but all at the wrong time. A planned John Peel session fell foul of a Musician’s Union dispute; a Melody Maker feature didn’t go to press thanks to a Fleet Street strike; an interested major label got cold feet about a song parodying sexism. 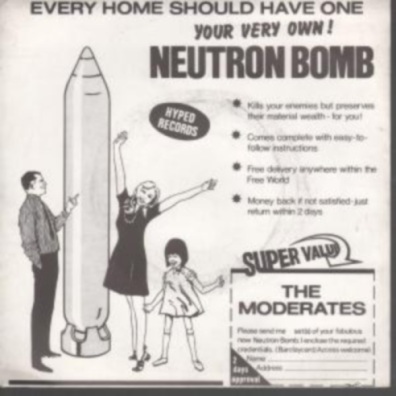 Yes to the Neutron Bomb, eh… was any other band better qualified to sing about things blowing up in their face? Pete Wylie gets ready to nip out for a pint of milk. 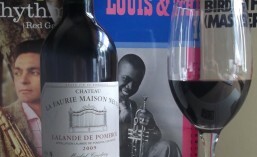 It would be gratifying to think that all of the records in this piece, like good wines, are imbued with certain qualities of their birthplace, offering some or other vision of their genesis. By this token, Wah! Heat’s Liverpool would be a place where you’d do well to hurry up. It was a neglected and occasionally dangerous place by the end of the 70s, and it was already clear that the newly-elected Tory Government wasn’t about to stop the rot. Wah! Heat managed to capture much of the city’s anxious urgency and embattled pride, and their early records, sounding like they were running from one apocalyptic dread into another, came across like terrace chants for Camus fans. And they were loud! For all his cavilling about rock’s traditions, Pete Wylie led the noisiest and most rocking band of them all, plainly enthralled by the viscerality of the Big Beat. And yet he scarcely needed a band to fill a room – Wylie was an incessant barrage of ideas and opinions, and everywhere he went was his court. He was fast, he was ebullient, sometimes he was brash and he was unshakeably convinced of his own legend, but the early recordings – one album, a handful of singles and an epochal Peel session – pretty much bear him out. Maybe Liverpool didn’t need a Johnny Rotten, but it was certainly blessed with its own Jelly Roll Morton! Subsequent records by Wylie’s various incarnations enjoyed more lavish production and chart success. The messages stuck fast, however, and many of them now sound like latter-day Liverpudlian folk songs, uplifting, defiant and deathless. He’s still performing regularly and keeping any number of fine compositions under his hat, and he’ll never be written off. Would we want him to be? After a year or so of punk rock, leather and gob, Fancy Dans were more than welcome! And who looked more like a star than Paul Simpson, the Baudelaire of Bold Street? 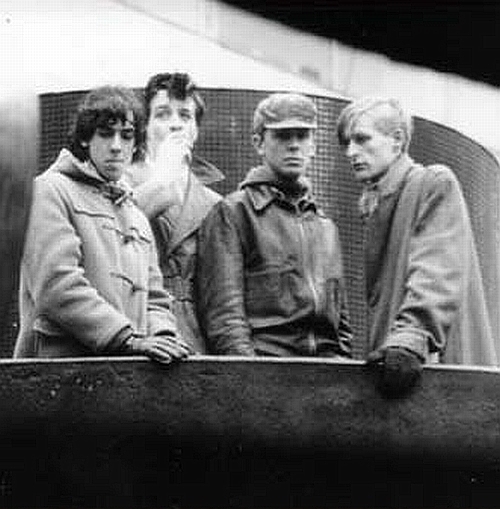 Simpson formed the Wild Swans in 1980, with Jerry Kelly and Ged Quinn, a little while after his departure from the Teardrop Explodes. They weren’t really given to the sweaty dues-paying expected of a young band, and some of their early gigs carried a distinct sense that something unique was happening. Indeed, it was – a bunch of well turned-out young rakes playing in a venue that didn’t have drain problems, rodents or sticky carpets was not yet a regular occurrence. Revolutionary Spirit, with Pete de Freitas of Echo and the Bunnymen on drums, sounded just like they looked – distinguished, dissolute, esoteric and frankly posh, even though not a single one of them had a proper job. And here we find the essence of all the music featured here, a common thread to all of these Oxfam Rimbauds, thrift shop Keefs and quid-deal decadents. Punk may have got them out of the house, but it was the place it sent them to that mattered; somewhere altogether stranger and more wonderful, where Language, Music, Dream and Pun were all far more important than making a living, where they could do or be anything they wanted, where they could shoot at the moon while sleeping on the floor. And where they could drink plenty of tea. This entry was posted in Other Music. Bookmark the permalink. This is great. I’ve alerted Paul Simpson to your spot on description of him as the Baudelaire of Bold Street! Thanks Jeff, a very welcome endorsement, especially coming from you. Did Paul Simpson approve of the epithet? Too young for punk, sadly. But I remember The Armadillo very well. Thanks mate for reminding me just how unique Mathew Street is. Thank you, Emma, glad to have brought about some good memories – I’m guessing you don’t live in Liverpool any more, as Mathew Street is a very different place now! Still, the street may have changed but the spirit abides, and I’m sure every generation since could write a piece similar to this one. They’d just have to set it in a different crumbling backstreet!